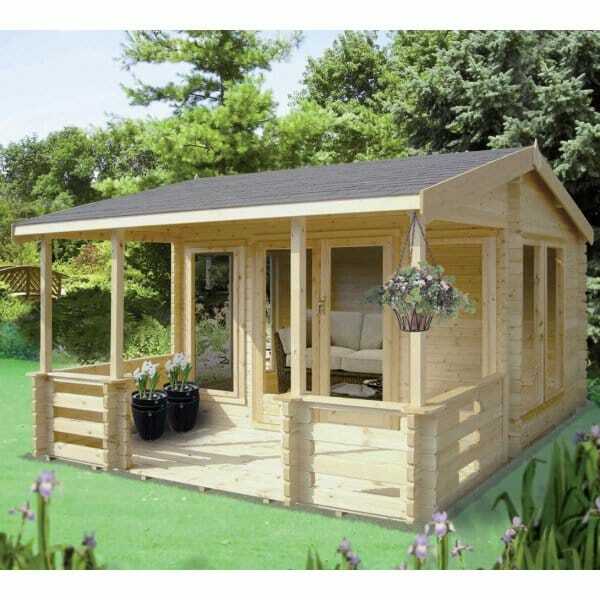 Shire Guisborough Log Cabin: The Shire Guisborough Log Cabin is available in 28mm and 44mm wall logs. The Norland Guisborough Log Cabin features a large integral veranda and canopy. It is a contemporary design and is a very light and airy log cabin thanks to the 1 double and 2 single large windows as well as the double doors to the front which open out onto the veranda. All windows and doors are all hand crafted joinery and are fitted with the Shire draught seal system. Featuring a ridge height of under 2.5m whilst maintaining good headroom clearance in the cabins.